Come party with us! Art In Motion will make your special occasion stress free and creatively fun. We will set up, entertain and do all the work just for you. 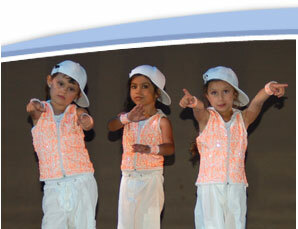 Basic Party Packages let you bring the goodies and we provide theme dance instruction and space rental. 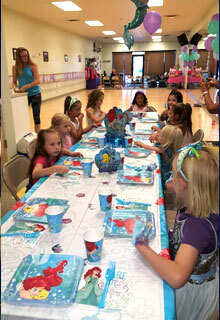 Deluxe packages include it all; party favors, cake, costume, theme dance instruction and space rental! Try our Princess, Rock Star, Cheer and Hollywood themes. We can also create a special package just for you. The dancers had an amazing time! It is all my daughter is talking about. She is dancing around the house constantly! She said it was the best weekend of her life! Thank you so much for making a 6 year old's day and memory to last forever. Just wanted to extend a special note of thanks for the amazing birthday party that you hosted for my daughter at Art in Motion’s Dance Studio. You made the entire process seamless, from choosing the party package to minor details that make a party so unique and special. My daughter’s princess party was so fabulous and created memories that will last a lifetime. We especially loved the dance instructor dressing up as Snow White and teaching the girls a beautiful princess dance. Thank you again for creating such a magical party that we will never forget. All packages are made for 10 participants. All parties have a 30 maximum for participants. There is a separate fee applied for additional participants in each package. Parents are not included as participants. To Reserve YOUR special party day and time, please print out and complete the party registration form and waiver. Or you can scan and email it to us at artinmotionreno@att.net. Deposit payment can be made in person or by going to our web pay. Click the link below to pay your deposit. Basic party is a two hour space rental that includes one hour of dance instruction. 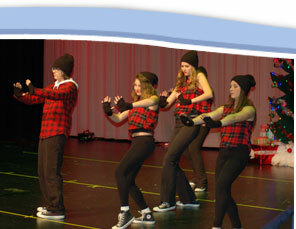 Dance instruction will have participants learn fun dances related to party theme. Chairs and two 6 foot tables are included for use. You will supply cake and party favors. You are also required to set up and clean up, or lose your deposit. There is a $10 fee for additional participants exceeding 15. Please pick a theme for your dance instruction. All packages require half payment as a deposit. There is a $50 cancellation fee applied from time of payment to booking the party. Deluxe package is a two hour space rental that includes a take home theme costume for all participants, one hour dance instruction, party favors, party gifts, drinks and cake. 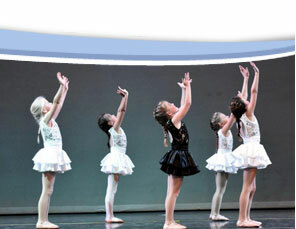 Dance instruction will have participants learn fun dances related to party theme. Chairs and two 6 foot tables are included for use. We set up and clean up so no worries for you! There is a $15 fee for additional participants exceeding 10. Theme party products will include cutlery set, plates, napkins, streamers, balloons and plastic table cover. Please choose your theme, cake or cupcake and drink options on the registration form.All packages require half payment as a deposit. There is a $50 cancellation fee applied from time of payment to booking the party.